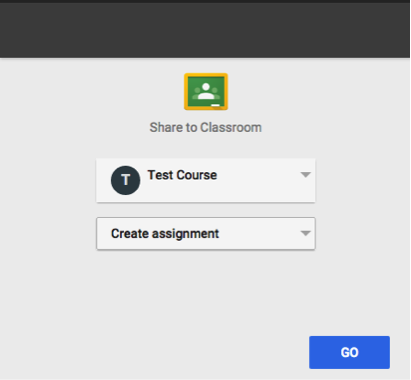 If you use Google Classroom, you can now share any Edulastic assessment with your students in Google Classroom! The Google Classroom integration seamlessly complements the Google Single Sign-on feature in Edulastic. Students and teachers can simply click on assignments in the Google Classroom stream and instantly access an Edulastic assessment. You need to have a Google Apps for Education (GAFE) e-mail with an active Google Classroom account. You must use the Google Apps for Education (GAFE) e-mail to sign up in Edulastic. Students must also be enrolled in Edulastic using their Google Apps for Education (GAFE) ID. 1. 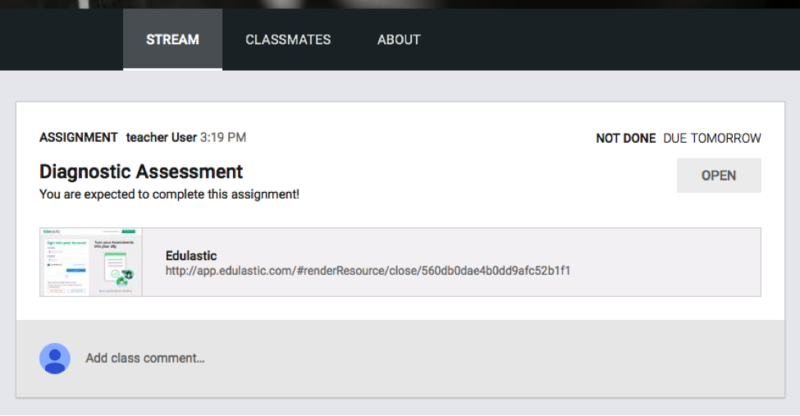 You will see the Google Classroom share button as soon as you assign something in Edulastic. 3. Once the sharing is complete, teachers and students see the assignment with an Edulastic link on their Google Classroom stream. Students can simply click on the assignment link and land on the Edulastic assessment. If they are not signed in to Edulastic, they simply need to sign in “With Google” before landing on the assessment page.